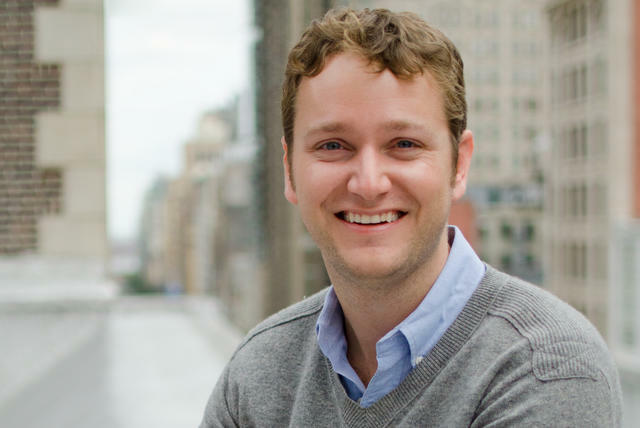 Last year, Betterment rolled out the perfect performance management system. "Finally," Founder and CEO Jon Stein thought to himself. "We have it all figured out. Everyone knows exactly what to do and feels motivated and empowered to do it." It was an iteration on what they'd tried before. It had to work. But then — of course — it didn't. Today, Stein has a new philosophy for startups tackling performance measurement and management. First, he continues to believe that it's absolutely vital to do. Even from a very small size, startups should start planning for how to measure people's progress toward goals. He believes it's been instrumental in Betterment's ability to grow its automated investment business 300% year over year since launch. But second, there's no perfect way to do it. And that's actually a good thing. The truth is, the best system is one that's easily changed as your company grows and changes. Constant iteration means you're doing all the right things. Too many startups are looking for their performance panacea — they go through systems like 7Geese, or OKRs, or Impraise like kleenex — each time rolling something out with elaborate rules and deadlines. One may work for a while, but then it stops, and the cost of switching to something new can seem too high to justify. This is a mistake. Stein has been through this battle himself — and as someone who was always fascinated with performance data (he spent his early career building out performance management systems for big banks), he hopes to offer startups a different mindset and way forward. In this exclusive interview, he explains how startups can embrace a strategy of proactive change in this area — one that emphasizes the ‘why’ for all company priorities — and also shares the ins and outs of how Betterment iterated so others can save time, learn from their mistakes, and gain a head start. Create clear lanes for your team to run; and align your structure key and processes to achieve what needs to get done. Empower employees to run as well and as fast as they can in the right direction by providing the right context. Define measurable goals to hit in a way that makes it clear to everyone what they're supposed to be doing every day. "At scale, all of this gets harder and harder and harder," he says. "You don't think it will be at 50 employees, or maybe even 100. Suddenly, you look at someone across the office and realize you have no idea what they might be working on. If you didn't plan for needing performance management, you'll be unprepared for this moment." Do not make the mistake of shrugging this off as a 'nice to have' or something you'll eventually find time for. Remember that good performance management actually drives your business through increased employee engagement and aligned efforts. If you want to increase revenue, your performance management system is the engine that will propel you toward that mark. By tracking the cadence of work toward your most important goals, performance management gives you a lever to pull — a way to figure out how to go faster, do better, and build more. As Stein puts it, "Your company's most important decisions are made closest to the customer." They're made by people interacting directly with customers — who are seldom your top leaders once you reach a certain size. So you need to empower them with the context, metrics, and direction to make these decisions well on their own. The right performance management solution provides this type of structure and reference point. "This is why so many companies avoid or delay doing it," says Stein. "It seems way too hard and complicated. It will take up manager time and require data team bandwidth." But you can't give up. You don't have to use the same system as Betterment. Your business might be worlds apart and merit a wholly different approach. But no matter what, it should hit the three bullets above to be effective. Use them as a checklist to stress test any system you propose. OKRs seem like the logical place for startups to start with performance management. After all, Google has made the system world famous. If you need a refresher on how OKRs (objectives and key results) work, check out this piece from a few years go. So, when Stein realized Betterment needed to build process around performance, he read all the playbooks and blog posts, and decided OKRs were the best bet. He readily admits that he was wrong, but they learned some valuable lessons along the way. It's really easy to have too many OKRs. "Because we were starting simple, we just threw everything we wanted to work on into a spreadsheet," Stein says. "We showed it to everyone and they added even more in until we had this big backlog of things we were going to try to accomplish over the course of a quarter." People defined their own actions they'd take to reach their objectives, and there was little oversight. In the end, people felt overwhelmed. It was difficult to understand which objectives were the most important. Goals seemed unrealistic and were easily written off. The system lacked teeth. There's an impulse to get too prescriptive. By virtue of having a system, people are motivated to define out every little thing they plan to do for themselves and their teammates — allowing for little wiggle room. Particularly after leadership realized there were too many OKRs, they shifted strategy, telling folks, "Okay, you in particular, don't worry about these 25 things, just focus on this one." People reacted negatively to that type of control. They wanted latitude to determine how they'd hit their objectives themselves. "We said to one team, 'You've got to focus on efficiency,' and they came back a week later saying, 'Okay, but this isn’t the right metric for us because we could easily hit it if we moved someone off the team. It doesn’t incentivize the right behavior for us.' We learned exactly how important it is to give teams agency to come up with their own metrics and plans." Not everything was measurable in real-time. The best systems will focus on things you can measure today — not what you hope to measure — that will move the business forward. Betterment had to learn this over time. One of their objectives was to attract more affluent users to the site. Since there isn’t a good way to estimate wealth of users, they decided to use age 55 and above as a rough proxy for affluence. It turns out there's a vague correlation, but overall age was not representative of how affluent people were. This ended up muddling people's targets, which numbers they were trying to move and why. "It's important that you only measure things that you have clear access to. Don't try to get there in roundabout ways," says Stein. They boiled down the number of objectives. "We focused only on two company-wide goals: grow our net deposits (the top signal of overall growth) and increase efficiency. For the latter, we looked at gross margin," he says. "We thought it was perfect, having one revenue-driving metric and one efficiency metric." It was a clear signal to the team what was most important. They gave people more agency to decide how to achieve goals. They then broke these two objectives down across teams, so that each would have their own 1-3 goals that would contribute to each. "We said, 'Look, here are our top-level metrics. Here are a few things we think are important to achieving these goals. You go and figure out what your team can do to drive those top-line numbers.' And it worked," says Stein. "They defined their own metrics they wanted to drive, whether it was funded conversion rate, or rollover rate, or usage, or efficiency of handling customer experience tickets. They came back with their own numbers that were totally aligned to drive our top-line plan, and that was great." They made everything measurable and reportable. The Betterment analytics team built dashboards for every team to track their selected metrics. "So, let's say you were on the team driving more signups, you had a dashboard that would show you where you stood every single day," he says. "They were beautiful, full color, with charts and graphs that made changes easy to visualize." They were able to build all of this in-house. And in order for a dashboard to get built, the team in question had to select metrics that would accurately signal whether or not a goal had been met — and that could be reliably measured in real-time daily. Of course, you can guess how this story ends. This was the system Betterment rolled out last year, and while it had many benefits, they knew it wasn't the be-all-end-all they'd thought. Laser focus on just a few metrics led to micro-optimizations. Because so much attention and emphasis was placed on fewer goals for each team, there was more intense focus on the metrics versus the overall objective. For example, in 2017, Betterment was looking for ways to really ramp up its growth, so they used signups as a key metric. "We thought we had empowered the team in charge of this metric to drive signups in the best ways they knew how," says Stein. But instead of taking big swings to meaningfully move the needle, they started making a lot of very small incremental changes. "They really wanted to move the number they needed to move," but the focus on this one outcome-oriented metric led them to think about how to incrementally improve the existing approach versus making a wholesale change. They started to see more siloed decision making. "We saw several instances where there should have been a lot of cross-team coordination, but there wasn't because everyone was so focused on their own team's goals," he says. In particular, they saw it with their product squads. When a squad needed support from another, there was a sense of opportunity cost. "They'd think, 'That's not our metric to drive, and our engineers are focused on another priority.'" Stein and his colleagues wanted to foster a much more collaborative environment. There was no flexibility for sudden priorities or course changes. During this system's implementation, the marketing team realized that referrals were not growing at the same rate as the previous year. But no one could raise their hand to dig into this challenge. "Everyone already had their objectives for the quarter and felt like they couldn't afford to work it into their backlog." Stein knew that the ideal performance management system would need to be able to absorb new priorities like this as they popped up. A better way forward was revealed during the company's site architecture refresh last May. It was a huge cross-functional effort, most of which was accomplished during a two-week sprint. "We updated our brochure site, the entire mobile app, the website — all of our marketing assets — and we made it all responsive," says Stein. To make this work, they had to operate outside the bounds of the new performance management system — which really highlighted the massive benefits that come from a lot of cross-functional collaborators placing big bets and being able to react as new challenges surfaced. Stein knew then that his new perfect system wasn't perfect after all. It was time to iterate again. This is where he'd seen many of his peers give up and decide that systematic performance management wasn't worth the hassle. Where he saw others surrender, he realized that the real strength of any performance measurement solution would be the ability to change as needed. Jon Stein in New York. Betterment added key performance indicators into the mix. These metrics are more about overall business health rather than singular, distinct targets. For instance, now they're tracking referrals as a KPI to make sure they're headed in the right direction, rather than setting a quota that had to be crossed. Another example is that they’re tracking the ratio of Lifetime Value of Customers to Customer Acquisition Costs (LTV/CAC) to ensure that growth and efficiency metrics are appropriately balanced. They created a new layer of leadership to facilitate more cross-team collaboration. This is a good example of how performance management can and should be revised to keep up with a company's growth — and can act as a strong signal for organizational change. The company had gotten so big that there was no one overseeing cross-functional work full-time. Instead, there was the executive team, and a bunch of individual teams under them. They called this new management layer "pillar leads" because they each own a business area that's critical to company-wide goals. They bring together multiple teams to tackle bigger, cross-functional projects as a unified force. Also, because they have responsibility over cross-functional metrics, they're motivated to drive the overall business — just like the top tier of leadership. They made reporting simpler and more visible to everyone. While every team still has a dashboard, it was unrealistic to think that people would look at every other team's dashboards to have a holistic sense of what was going on company-wide. This compounded the silo-effect and made it harder for them to collaborate or deviate from their own objectives. "We realized we needed more push metrics for the most important signals across all the teams," says Stein. They found new ways to broadcast metrics that would make it clear how teams were progressing toward company goals, and which teams could use help. For example, there's a regular email that goes out to everyone highlighting where current numbers are relative to team metrics. On top of that, top-line metrics for the whole company are posted up on the walls so everyone keeps them in focus. This built in the ethic that there was no opportunity cost for teams to deviate from their goals to help another toward theirs. There was, instead, a shared sense that it was all hands on deck to make sure everyone got where they needed to go. One of our most important learnings is that you have to constantly provide and repeat the context for goals. Whenever they come up in meetings or at all-hands, it's critical that the 'why' also goes along with them. It's not enough to say the team needs to do something. You always have to say why to keep people motivated and moving forward. "For a while, one of our major metrics was about gross margin. People kept asking, 'Why do we care about gross margin right now? Why should this be important to me and my team?'" he says. "We had to connect that back to this bigger idea that we want to be the company that benefits tens of millions of Americans by giving them more financial control and optionality. The only way we'll get there is if we become increasingly efficient, and gross margin is the best quantitative indicator for that. It's easy to get lost in all the objectives you want to hit. Take every opportunity to ladder them back to your vision and strategy." Above all, however, Stein says the takeaway from Betterment's experience with performance management is that you can always do better, and a company's ability to iterate is what truly matters. You should always build in ways to understand what's working and what's not. That's what'll help you continue to do your best work as your team gets bigger and more complex. "I think our system today is the best it's ever been, but of course at some point it'll break too," says Stein. "Instead of seeing that as a sign of failure, startups should see it as validation that they're leveling up — they just need a system that will level up with them." Images courtesy of Betterment and Martin Barraud/Caiaimage/Getty Images.